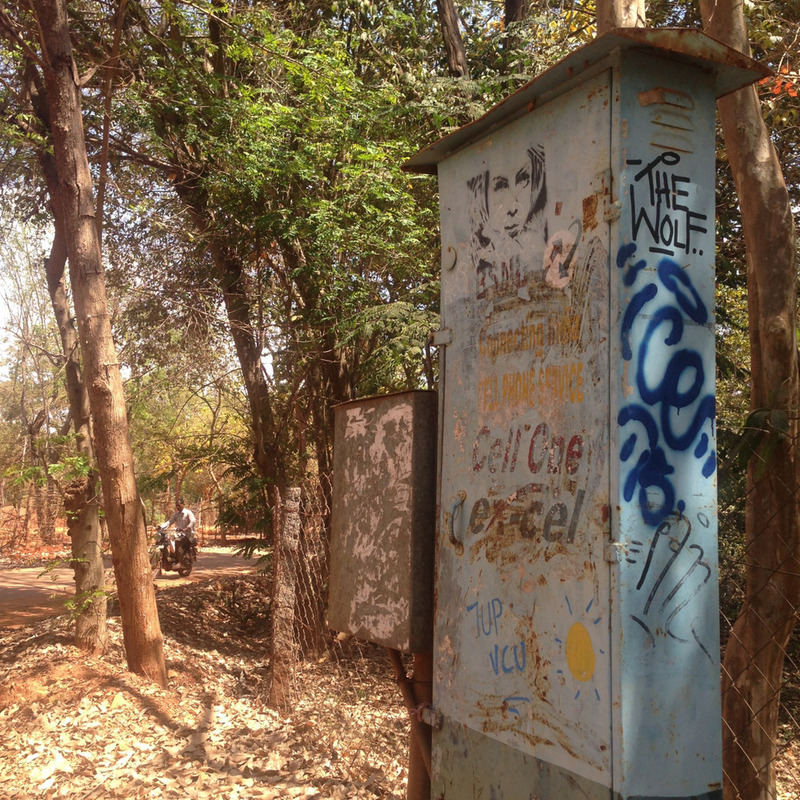 Graffiti in Auroville — Kate Friedman Consulting, Inc.
Auroville does not have graffiti. There is one stencil of a woman that I frequently drive by. I smile to myself thinking about street art and graffiti culture in New York and how that’s been such a big part of my life. But not here. In Pondicherry there are great multi-layered stencils. 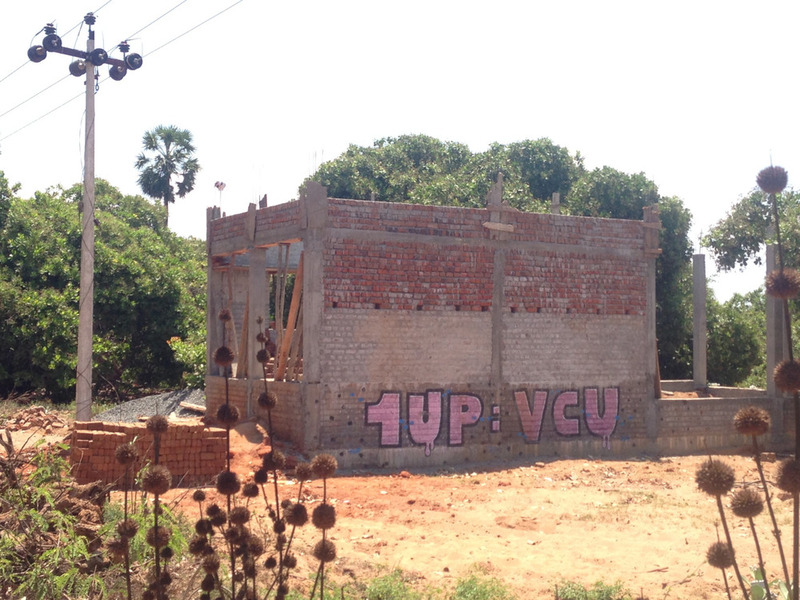 Just a few weeks ago, these 1UP VCU burners started showing up all over Auroville. The excitement bubbled inside me at the thought of some art sub-culture rising in the villages surrounding Auroville, namely Kuilapalaym and Edyanchavedi. I began wondering what it could mean. Was it a crew? Was it a cryptic message? ‘One up, V.C.U.’… what could it be? While going for a ride in a car one day to help pick up some vegetables for my community, I let my mind aimlessly wander. I started playing with the letters… ‘1.U.P.V.C.U.’ Like a child exploring sounds I began saying the symbols fast, over and over, until I figured it out! 1 is really ‘when’ and V is really ‘we’. Do you get it? This graffiti painted on walls that Indian men routinely pee on says, “When you pee, we see you!” Oh boy! This is the funniest thing ever! So I spent the afternoon driving around photographing the best 1UP VCU’s I could find. I came home to post them on my blog, only to find from a 2-second Google search, that 1UP means 1 United Power and is a graffiti crew from Berlin. Oops! I’m going to pretend it’s a Public Service Announcement for Indian urination. Epilogue: I relayed this story to the 1UP Facebook page… they haven’t responded.